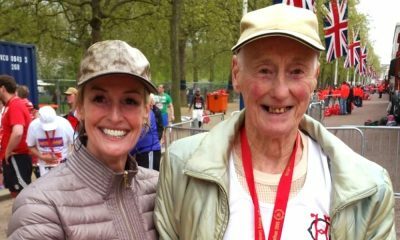 Swansea Harriers’ Jonathan Hopkins and Chichester’s Rebecca Moore won the Brighton 10k on Sunday (November 11), while Robert Danson and Sophie Cowper took the honours at the Brampton to Carlisle 10 Mile Road Race. 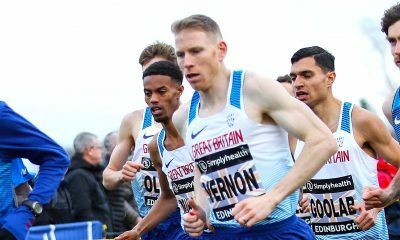 Elsewhere the Preston 10 mile road race didn’t disappoint with 19 runners dipping under 60 mins and Callum Hawkins finished tenth at the Dutch NN Zevenheuvelenloop 15km race. 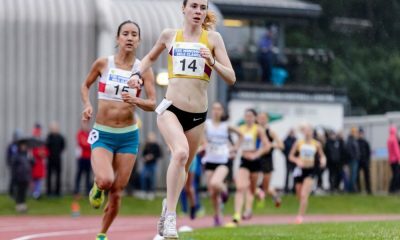 On Saturday night John Ashcroft and Rebecca Robinson won the Podium 5K – race report can be found here. 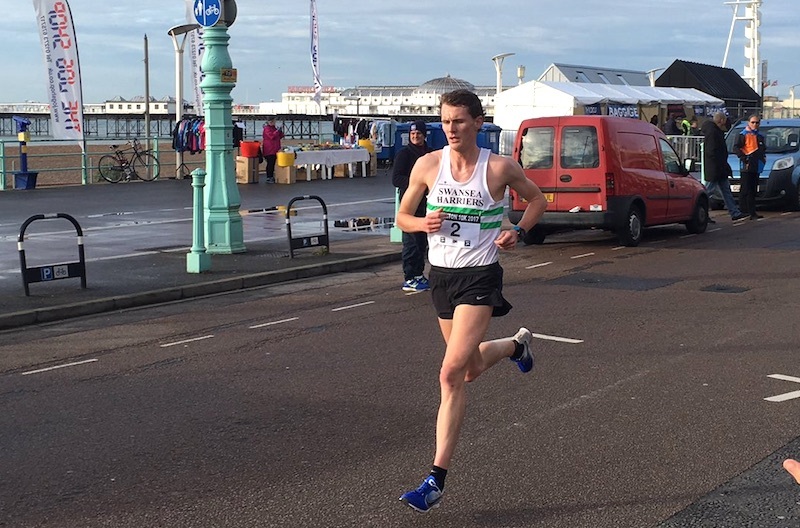 The Brighton 10k saw Jonathan Hopkins seal victory in a very quick 29:40. The Swansea Harrier spent most of the race working solo and by the finish line the nearest challenger was a minute adrift. James Westlake of Crawley AC took second in 30:57 ahead of Paul Whittaker of Southend AC in 31:12 in third on the flat, seafront course. Rebecca Moore of Chichester Runners & AC was first home in the women’s race in 34:57. Sarah Johnson of Imperial College Cross Country & Athletics Club followed in second place with 35:38 and in third position Maisie Trafford of Arena 80 in 36:46. Robert Danson of Wesham Road Runners won the 66th edition of Brampton to Carlisle race. In a close battle, it was Danson who just pipped James Douglas to the line by five seconds with a brilliant 50:06 for the Wesham man. Douglas of nearby Border Harriers was second in 50:11 and also chasing hard was Marc Brown of Salford Harriers in third with 50:15. Sophie Cowper of Rotherham Harriers and AC took the win in the women’s race with a new PB of 56:24. Another close finish saw Annabel Simpson of Fife AC clock 56:30 for second, just six seconds behind Cowper. Third was Jarrow and Hebburn AC’s Georgia Campbell in 58:36. Darcy for most of the race but a persistent back injury meant he had to withdraw at around seven miles. Dave Rigby of Salford Harriers then found himself in second position and clocked a time of 53:13, with a great performance by V45 Robert Affleck of Preston Harriers in third with 53:46. The first female and Preston local was Helen Clitheroe who was amongst the 18 other runners of the day to break the 60 minute barrier. The Preston Harriers took the victory on home turf with a time of 59:38 ahead of Sarah Jarvis of Barlick Fell Runners with 61:44 and third place Sarah Louise Cumber of Halifax Harriers in 62:32. Callum Hawkins finished tenth with 44:45 in the hilly 15km Dutch race. The race was won by Joshua Cheptegei in 41:17, just four seconds of the 15km world record. At Aykley Heads just North of Durham, the North Eastern Harrier Cross-country league saw an outing from Olympian Laura Weightman. 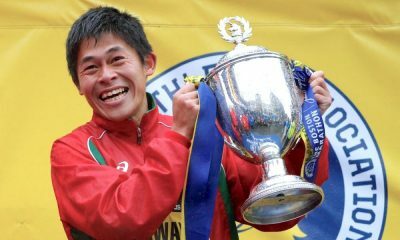 The 1500m specialist who is stepping up to 5000m for the Commonwealth Games won in 25:10. It was a Morpeth Harrier 1-2-3 with Emma Holt second in 26:08 and third Jane Hodgson in 26:15. On the Fell running calendar this year there has been one woman who has been pretty much unstoppable. Victoria Wilkinson broke the Yorkshire Three Peaks record in April and has sent numerous other records tumbling throughout the season, as well as finishing well to the fore of many races and beating a good number of male runners in the process. Saturday saw the 34th edition of the Tour of Pendle, 16.8miles and 1473m of elevation. Wilkinson not only won and broke the record, but the life-long Bingley Harrier was third overall in the mixed race and smashed the previous record by 13 minutes. If not impressive enough, the record was previously held by Angela Mudge, Scotland and Great Britain international athlete and it had stood for 20 years until yesterday.